Hello!!! Sorry for the prolonged absence. Traveling and the lack of wireless internet will do that to a girl. Did you guys miss me? I had a fantastic time away with family and Christmas was a blast! But now that I am back – I wanted to get in on Rhoda’s Top Projects of 2010 party and do a nice recap on the best posts from this past year. These posts were either my most popular or my proudest moments! I hope you enjoy the trip down memory lane! January started us out with me on an organizing kick, so I wrote my post on how to be successful at organizing. 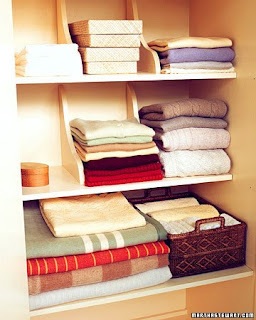 I don’t know about you but the New Year always makes me want to clean out and organize! February had me thinking about Valentine’s Day … my hubby is the romantic sweet one. I am the girl that buys a card with a talking cat. So this year I decided to do something cute and created an apartment friendly art installation with the words to some of the key songs from our wedding on some basic card stock. I love this project and I love what it means too! March brought me one of my best ideas of the year. When Lindsay from Living with Lindsay had her annual $5 Challenge party – it really got me thinking. What could I do that would give me big impact but not cost anymore than $5 from the Dollar Store? 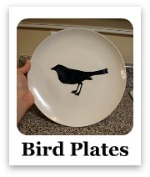 What I came up with was my Bird Silhouette plates. These cost me just $5 and I used black card stock and a little Mod Podge to pull it off! Oh and I won the contest!! That was a pretty big deal for me! April had us all moved into our new place and out of the tiny one bedroom apartment. It also brought me to my first big furniture make over project when I revamped the free dinette set I got from a friend. Inspired by so many of your handy skills and fueled on by a new garage workspace – I took on my biggest project yet in May. I transformed my “world’s smallest patio ever” into my new patio book nook! Complete with lattice planter boxes that I built from scratch myself! I love how these came out and I am so proud that I nailed and sawed and screwed these all together myself! June (well the very day before June so close enough) I revamped this shelf that I got for $1 at a yard sale. A dollar!! I love this thing! Goes perfect with my revamped sewing desk too! July brought on more yard sale hopping and transformations. I can’t wait to start all over again this spring! One of the biggest questions I get from friends and family is “How can you look at that and see something more?” Personally – I think that all just comes from getting to see all the great ideas that all of you people have! 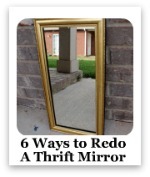 But to illustrate how you can look at one thing and find several projects I did my Six Ways to Transform a Yard Sale Mirror post. What would you turn this steal into? 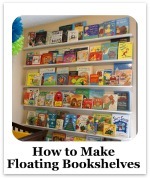 Check out my post for some great ideas. 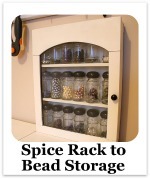 August brought more black and white into my craft area with a redo of a spice rack into some snazzy bead storage! 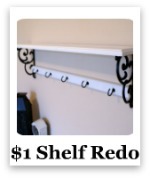 For $3 – I thought it was a perfect addition and provides some much needed storage! September made me yearn for crisper weather (what was I thinking – I want the warmth back now!) 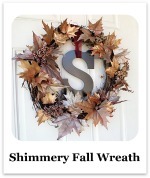 and also brought me the idea for my shimmery fall wreath! I loved this project. 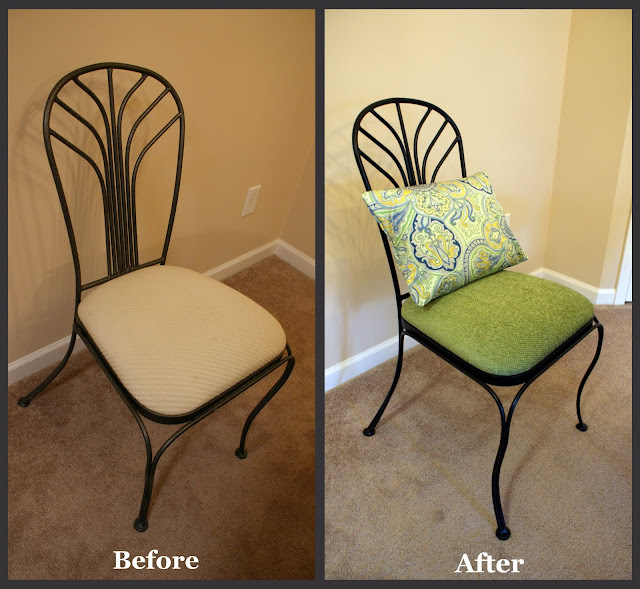 Spray painting silks is my new favorite idea! 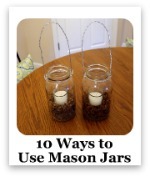 In October, I wrote one of my most popular posts ever – 10 Ways to Use Mason Jars in Your Home. It was a great collection of different ideas and inspirations! I still have a ton of these that I want to do! Like make one of these oil lamps for next summer! 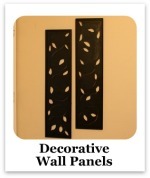 At the beginning of November – I was inspired by Beckie @ Infarrantly Creative and made these decorative wall panels! Just me and my Dremel tools! 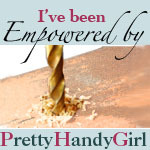 If you are afraid of working with power tools – make your New Year’s resolution to overcome that in 2011. You are just keeping yourself from cool projects like this one! 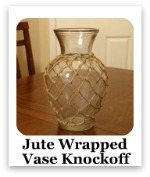 And then as the year came to a close – I made this adorable Pottery Barn knockoff Word Art Project. Wow! The response to this was overwhelming and I really love how you guys loved it! You truly knocked me on my rear. So that was 2010 in a nutshell – a great year and a ton of fun! I tell you what – blogging takes up a lot of my time, but it also makes me so creative and it helps me get things done! I have so enjoyed spending this year with you guys and hope to have more fun and make more friends next year too! So what about you? Have a favorite? Or was there another project you loved? I would love to hear it! 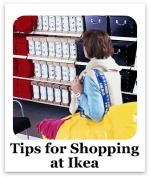 And don’t forget to link up your 2010 Top Projects with Rhoda too! I will be home for Christmas … to THREE different homes. For those of you that are new to the blog – we do our version of the movie Four Christmases every year. Remember this movie? Well our version is ever so slightly less neurotic as we don’t attempt to do all 4 in one day. We do have four sets of parents that we attempt to see every year for Christmas. We spread out that joy (and driving) over the month of December. So we have already done my dad in Ohio, now we just have the rest of our WV families to see. And we will see all of them over a one week period that starts this weekend and leads into Christmas Day itself. Over the course of 10 days we will sleep in 3 cities and exchange gifts at least 3 times and spend (rough estimate) about 19 hours in the car driving. Obviously – we are insane. Four Christmases is great in some respects – you get to see everyone, you get 4 sets of presents, and you have a good excuse on why you need a week off work in December. It is also crazy in other respects. We drive everywhere, you have to buy 4 sets of presents, and you get back to work the week after needing another vacation! So I am spending the rest of this week – prepping for our mad journey through the hills and hollers of WV. All presents must be wrapped, laundry done, cards out, and bags packed. And then next week – I will either be surrounded by family and Christmas cheer, sleeping or driving. I want to apologize in advance that I will probably continue to be behind on email, responding to comments and that posts may or may not happen. I also want to go ahead and make sure that I wish you and yours a Merry Christmas, Happy Hanukah, or an enjoyable Festivus (what ever you decide to celebrate!) and I can’t wait to share with you guys more fun and exciting ideas and things in 2011. Since I have been working on Christmas decorating around the house now for about 3 weeks – I thought I would do one big post to share all that goodness in one place! So here we go! For starters I showed you guys my Christmas Faux Mantel – yeah it is really our speaker shelf but whatever! I still plan on decorating any space not taken up by that speaker. Of course that was also the debut of my PB Knockoff Noel Sign and my mini ornament tree too! If you are interested on how to make these hop over and check out the tutorials! I also shared with you guys some of the decorating I did around the house – first there was my festive entertainment center. Like my creative idea on where to hang our stockings? I also showed you guys some other vignettes around the house. Love my ornament bowl and little side table. I also shared with you guys my festive red and silver and sparkly tree!! You guys know I love the bling!! I have way more pictures of the tree and the ornaments over on that post if you want a close up. Oh and you can also learn the story of my tree topper. That isn’t just any ol bow – it has a meaning! And finally – I wrapped things up yesterday by showing you my holiday front door! I have my faux mercury ornaments hanging from both the top of the porch and as the centerpiece on my wreath! Here is a night shot too! Love the way the lights just sparkle!! So there you go! That is all the Christmas around my house!! It has been fun to share it with you guys over the last several weeks!! 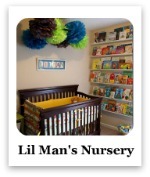 I am linking this post up to The Nester’s Christmas Tour of Homes! Hop over to get more great inspiration from others and see their beautiful homes too! Ok – so I know I have been teasing you all about this one for awhile now – so here we go. My holiday front porch! As you can see I hung my pretty faux mercury ornaments up! I have them both hanging from the roof of the porch and as the centerpiece of my holiday wreath! Oh and I also made some pinecone “flower” kissing balls! I will share a tutorial on those later in the week! Here is a closer look! I hung them with some shear red ribbon! I really do love how the faux mercury ornaments turned out – just the perfect touch! My wreath is another one of my grapevine creations. I just used some pine floral picks and tied on a tube of $1 non breakable silver ornaments that I got at Target. Then used another one of my big mercury ornaments as my centerpiece! I really like how this turned out. Super simple but really pretty! And it only cost me a little over $1 to make it since I already had everything else! I wrapped some faux garland around our one little post and I have lights running through it too! Here is a night shot. We have gotten a little snow today! I love the way it looks! How about you? 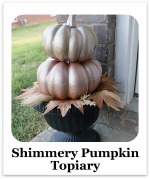 Have you gotten your front porch all gussied up for the Holidays? 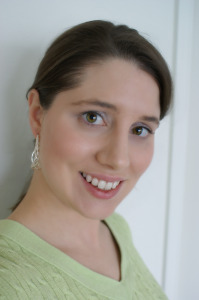 If so you should hop over and link it up with Beth @ The Stories of A to Z – she is having a Christmas Front Porch Party! Hop over and check out some of the other great porches out there!!! If you guys know one thing about me … it is that I love some bling! In fact – I need to make a search label for the blog that just says bling! So I think it should come as no surprise that my Christmas tree is a gigantic mesh of shine, sparkle and glitter! Behold – I give you my tree! Isn’t it purdy!! It makes me smile every time I look at it!! I have had most of the red ornaments for a while – one of those big containers of ornaments from Target. I adore the big ol sparkly snowflakes!!! I love how they pop just as well as the silver ones in the lowlight too! The silver ones I picked up last year – love the sparkly star! I also have my handmade rope ribbon ornaments that I made last year. You can check out the tutorial if you would like to make some of these for yourself!! I also just LOVE the little mirrorball ornaments! Had to give you guys a close up of those!! Oh and my tree topper? That is actually one of my pew bows from our wedding!! I love that I have kept it and that it was a part of another special day for us!! That and I can’t make a bow to save my life and the ones that my MIL made were so beautiful!!! So here is one final shot! Ah!! I love it!! I hope you guys do too!! What does your tree look like? Do you go for traditional colors or more contemporary ones? Is yours full of bling and sparkle too?